Will data transparency regain consumers’ trust? Consumers are calling out for transparency when it comes to their data but can (and will) businesses deliver on this request? The evolution of innovative technologies have enabled companies to understand their customers’ needs and demands better than ever before. At the same time, customers have benefited from high quality, streamlined and personalised shopping experiences. However, as the data ecosystem has evolved, hackers have also found ways to infiltrate businesses’ defences and steal customers’ sensitive Personal Identifiable Information (PII). These data leaks have made customers across the world question their trust in brands. Although the costs associated with regulatory fines and lawsuits following a data breach can be severe, the loss of consumer confidence can be far more harmful. Businesses know that there is a growing risk of cyber attacks but very few leaders truly understand where all data leak vulnerabilities exist and how to prevent them. The Government’s recent FTSE 350 Cyber Governance Health Check report, revealed that while 96 per cent of businesses have a cyber security strategy in place, just 56 per cent of businesses reported testing their cyber security incident response on a regular basis. If business leaders are blind to or ill-informed on the potential weaknesses, how can they be transparent with consumers and more importantly protect their data? Echoing MP and Digital Minister, Margot James, much more needs to be done by boards to ensure the right security precautions are in place. This may sound obvious, but the problem is that many companies assume that their IT or security teams have all bases covered. But the reality is that most do not. Hackers are finding new ways to steal data every day and as we have seen with breaches such as Ticketmaster, businesses are missing the points where they are vulnerable. Without the correct security measures in place the website supply chain is often an open door for criminals. Historically, these platforms have fallen under the care of the marketing team instead of the security department. As a result, the security team may not have full sight of the very places hacking groups like Magecart are targeting. These types of breaches are preventable with the right technology, but given boards are often unaware of the potential threats, it means they are not providing the investment needed to shore up their marketing platforms prior to a breach occurring. The introduction of GDPR means that consumers expect transparency from companies. However, being compliant alone is not enough to secure customer trust. Data from PwC revealed that 88 per cent of consumers ‘agreed that their willingness to share personal information was predicated on how much they trust a company’. Other than protecting data in the first place, this trust is built on transparency. Businesses need to proactively provide updates rather than wait to be told by a regulator to communicate issues, updates and changes with data. Despite this need, insight from PwC’s Digital Trust Insights Survey showed that only around half of global businesses worth $100 million or more were making large investments in data governance to ensure consumers have transparency and control over their data. Ultimately those brands that are not respectful of consumers’ data will lose customers to those organisations that are. 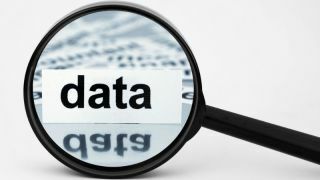 Data owners therefore must be clear with why an individual’s data is being collected and how it benefits them, through to honouring the right to be forgotten and consequently explain how data is stored and protected. Looking ahead, data transparency and retaining customer trust will only become more complicated as consumers become more connected - not just with smartphones but IoT devices such as smart TVs. With more touch points to share data, there is more scope for potential leaks. Businesses must continue to review and evolve their security strategy, while also informing customers how their data is protected. This also means alerting consumers quickly if something goes wrong (such as a data leak) so that customers can change passwords or monitor credit card payments if necessary. It is time for businesses to prioritise security within their organisations and make sure they are being transparent with their customer base. This starts with the c-suite having transparency across the entire business to ensure that a robust security approach can be employed. Even a single breach can have a devastating impact on consumer trust - a proactive and transparent data security strategy is not optional in our new data economy - it is imperative.